EMBL-EBI is international, innovative and interdisciplinary, and a champion of open data in the life sciences. At EMBL-EBI, we make the world’s public biological data freely available to the scientific community via a range of services and tools, perform basic research and provide professional training in bioinformatics. We are part of the European Molecular Biology Laboratory (EMBL), an international, innovative and interdisciplinary research organisation funded by 23 member states and two associate member states. 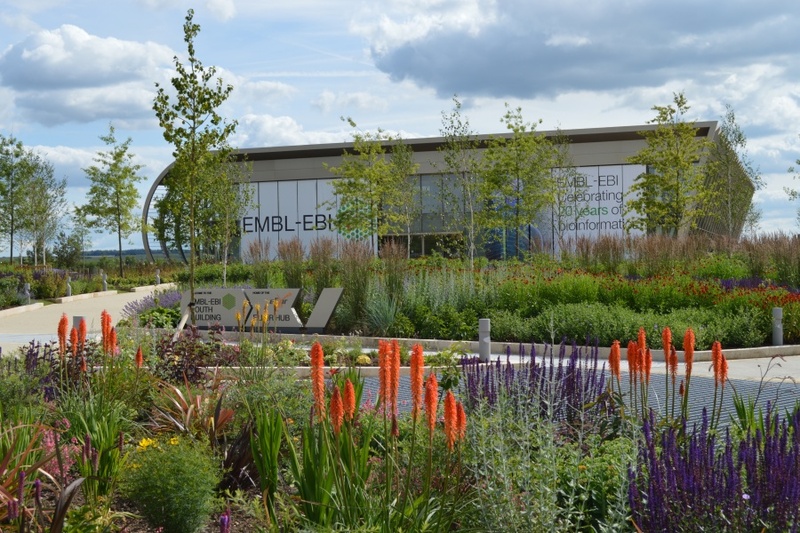 We are situated on the Wellcome Genome Campus in Hinxton, Cambridge, UK, one of the world’s largest concentrations of scientific and technical expertise in genomics. We provide freely available data and bioinformatics services to the scientific community. We maintain the world’s most comprehensive range of freely available molecular data resources. Developed in collaboration with our colleagues worldwide, our databases and tools help scientists share data efficiently, perform complex queries and analyse the results in different ways. Our work supports millions of researchers, who are wet-lab and computational biologists working in all areas of the life sciences, from biomedicine to biodiversity and agri-food research. We contribute to the advancement of biology through investigator-driven research. Our unique research environment and broad palette of interests compliment our data resource development. In the era of personal genomics, our research is increasingly translational and related to problems of direct significance to medicine and the environment. We offer many opportunities for postdocs and train the next generation of computational biologists in the EMBL International PhD Programme. We provide advanced bioinformatics training to scientists at all levels. We provide hands-on bioinformatics training to help experimental biologists make the most of our wide range of data resources. We also bring our training to host institutions throughout the world with our Bioinformatics Roadshows. Users can train in their own time and pace using our Train online resource. We help disseminate cutting-edge technologies to industry. Our Industry Programme is a forum for interaction between EMBL-EBI and industry R&D. Our member organisations, which include pharmaceutical and agribusiness companies, engage with us in bioinformatics research, service development and data standards, and participate actively in pre-competitive projects. We also support small and medium-sized enterprises through our infrastructure provision, joint projects and networking events. As an ELIXIR Node, we support the coordination of biological data provision throughout Europe. EMBL-EBI is a pivotal partner in several of Europe’s emerging research infrastructures, including the ELIXIR infrastructure for biological information. We are pivotal partners in many other initiatives that impact the global scientific community.